Flyers must be at least 4 years old and able to wear a properly fitting safety helmet. Flyers must be less than 230 lbs (104 kgs). Flyers over 230 lbs (104 kgs) must contact the facility before flying for personalized options. You are not permitted to fly if you are pregnant; wearing a cast or under the influence of alcohol or narcotics. If you have ever dislocated a shoulder, please contact us. If you have a history of heart, neck or back problems, you should check with your doctor first. This iFLY tunnel is part of the Whitby Entertainment Centrum located on Consumers Drive. The tunnel sits along the lake, northeast of downtown. 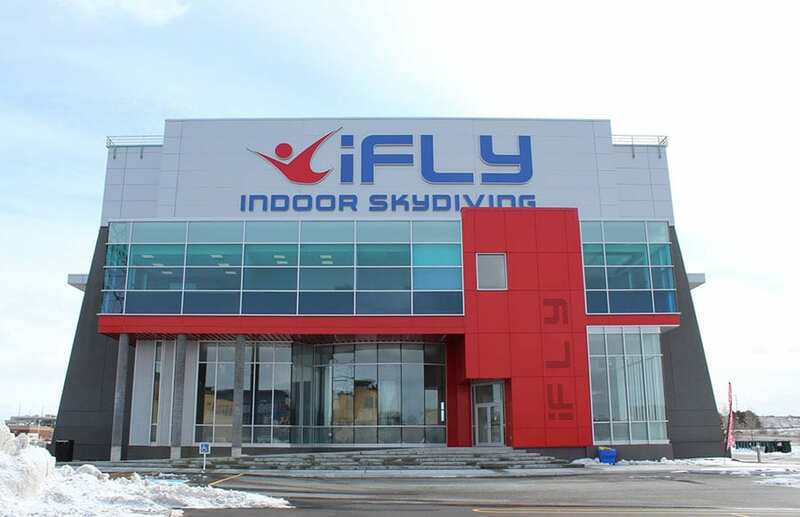 This location is being built by the CEO Alain Guérin of the existing iFLY Toronto and SkyVenture Montreal locations. This location opened to the public as of February 2018. Average rating of 5 from 6 review(s). with the instructor, Brad. He was competent, friendly, respectful and very protective. My wife and I had a great time. 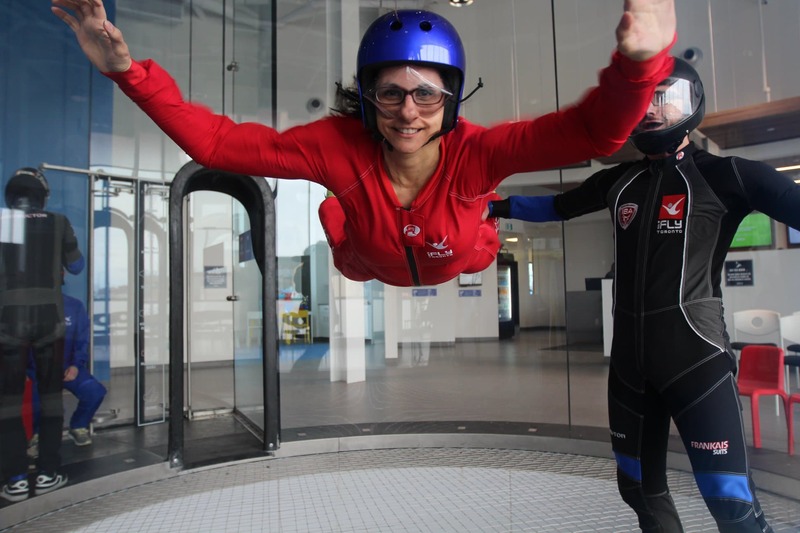 Our instructor,Catherine was excellent until she slammed me into the glass lol at least thats my version of events. Seriously,I highly recommend I_FLY. Brought my 6 year old son to I fly Whitby location this afternoon. Our instructor was Dawson and he was AMAZING!! The facility is beautiful! Took advantage of the offer for a return visit and anticipate many more visits in the future! Thanks I fly and especially Dawson for a fantastic experience!! I had a great time - the place is awesome!